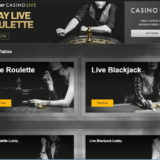 Live casino pioneer Codeta.com has flicked the switch on NetEnt’s Common Draw Blackjack, offering players round-the-clock availability so they don’t have to wait to be seated. 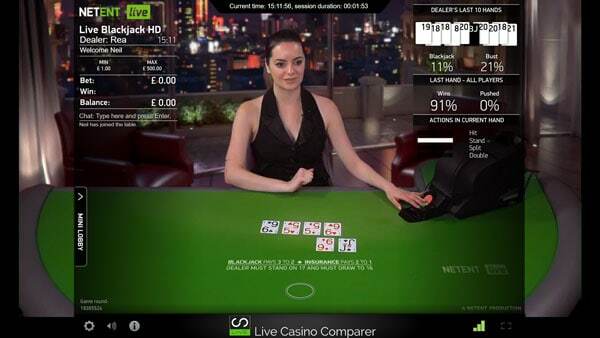 Common Draw Blackjack offers low-stakes play, with wagers from €1.00 up to €200.00, and uses the same game rules as standard blackjack. The games are streamed live in high definition, and are available on desktop and mobile. 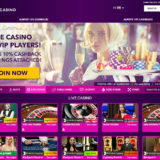 “Here at Codeta.com our aim is to offer players the best possible experience, and NetEnt’s Common Draw Blackjack gives them access to live games 24 hours a day, 365 days a year with no wait time. 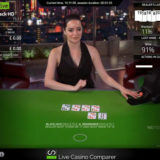 The launch comes hot on the heels of several new game releases on Codeta.com, with the operator rolling out Evolution Gaming’s ground-breaking Speed Ball Roulette and Double Ball Roulette on mobile last month. 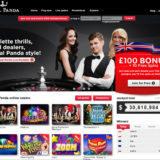 Codeta has carved out a name for itself as a pioneer and leader in live table games, but also has a selection of other table games and slots from NetEnt, Play’N’Go, Aristocrat, Novomatic NYX, Microgaming and others. The site is available on desktop, and has also been optimised for play on mobile and tablet devices, both Android and iOS. There are two Common draw tables available to players. A general play one with stakes from £1 to £500 and one for VIP players who like to bet between £5 – £1000 a hand. Click here if you’d like to see the tables in action. You’ll need to signup but no deposit is needed to watch play.